A journey from Kangerlussuaq, Greenland to Kugluktuk, Nunavut. Travel aboard the Ocean Endeavour in comfort. Our fleet of Zodiacs will take us where the action is—the heart of history. Our voyage begins in Greenland, home to mighty icebergs, dramatic fjords, and calving glaciers! Colourful villages offer rich culture. Crossing the Davis Strait, we’ll explore the Baffin Island coast. We’re on the watch for whales, birds and bears. Zodiacs stand by for excursions; visit Franklin expedition graves at Beechey Island. 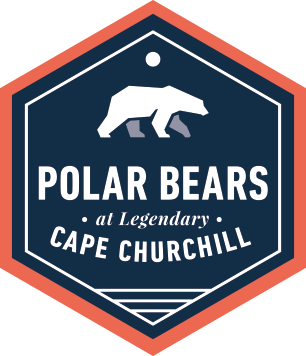 Follow in the wakes of Franklin, Rae, Amundsen and many more polar explorers. Meet the Inuit who call the Arctic home. Travel with scientists, artists, musicians, local culturalists, and historians—all of whom are drawn magnetically north. Sail the great sea-route at the top of the world. The Northwest Passage calls you, too! Into the Northwest Passage takes place aboard the Ocean Endeavour. 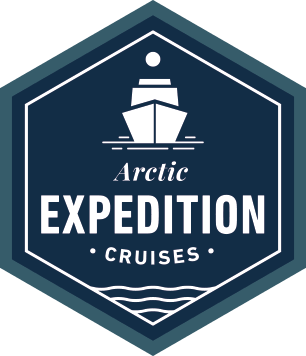 Join the ranks of the fearless adventurers who have been lured by the Northwest Passage’s spirit. Kangerlussuaq is a former US Air Force base and Greenland’s primary flight hub. After our charter flight from Toronto, we will be bused along Greenland’s longest road—less than twenty kilometres—to the port. Zodiacs will be waiting to transfer us to the Ocean Endeavour. People have lived in the Sisimiut area for 4,500 years. For the first 2,000 years, the people of the Saqqaq culture occupied the area. Approximately 2,500 years ago, new people brought the Dorset culture to the Sisimiut area. They lived here for 1,500 years and were followed by the people of the Thule culture—the ancestors of the current population. All these cultures came from Canada. The people primarily lived on fish, birds and mammals such as whales and seals. The ice-free conditions in the sea around Sisimiut, including some of Greenland’s deepest fjords, allow us to sail in waters that are home to many whales and seals. Ilulissat translates literally into “iceberg”, an apt name for this site at the mouth of the Ilulissat Icefjord—a UNESCO World Heritage Site. The icefjord is the outlet of the Sermeq Kujalleq glacier, source of many of the icebergs in the North Atlantic. Here, we will cruise in our fleet of Zodiacs to appreciate the icebergs. And we’ll also visit the bustling town of Ilulissat, with its museums, cafes, craft shops, and busy fishing harbour. Our adventure builds as we explore by ship and Zodiac along the west coast of Greenland. Here we find spectacular fjords, where we will be watching for marine life in majestic and inspiring landscapes dotted with icebergs. We have numerous options for expedition stops, to make the most of weather and wildlife conditions. Departing Greenland, we cross Baffin Bay toward Nunavut. Our onboard presentation schedule will have us learning as we go. Qikiqtarjuaq, a community located on Broughton Island in Nunavut, is known for wildlife, art, and Aujuittuq National Park. “Qik” was home to a NORAD military station that formed part of the Distant Early Warning (DEW) line in the 1950s. Qikiqtarjuaq boasts a burgeoning craft industry, and local artisans are eager to share their wares. Talented local artists have a focus on intricate ivory work and jewelry. The community is famously warm and welcoming to visitors. Today will be an expedition day in the truest sense as we navigate the fjords of eastern Baffin Island. The Ocean Endeavour is a perfect mobile observation platform, while our fleet of Zodiacs allows us to quickly scramble for a closer look when opportunities arise. Moving through waters known to harbour polar bears, belugas, narwhals, and other marine mammals, we will be monitoring from the deck and bridge to maximize chances of seeing wildlife. Devon Island is the largest uninhabited island on Earth at over fifty thousand square kilometres. The island's geology is stunning, and very visible as we sail the coast. Flat topped mountains, glacial valleys, and a substantial ice cap give Devon Island its unique character. Devon Island has a rich human history, and boasts historical and archeological features. We’ll also be on the watch for wildlife! In 1845, Sir John Franklin set out from England with HMS Erebus and Terror, attempting to sail through the Northwest Passage. Franklin’s party overwintered at Beechey Island—where three of his men died. Numerous search parties later used Beechey as a depot and rendezvous. Amundsen, Bernier, and Larsen visited Beechey. Thomas Morgan of the HMS Investigator was buried there in 1854 alongside Franklin’s men. The graves and the ruins of Northumberland House are a haunting memorial. The ‘obvious’ route through the Northwest Passage, Parry Channel seldom provides a full transit because of ice. It is named after Arctic explorer William Edward Parry, who got as far as Melville Island in 1819 before being blocked by ice at McClure Strait. Peel Sound was the Franklin expedition’s route south. It presents numerous wildlife and exploratory opportunities. The setting is optimal for hiking and exploring the geological diversity of the area. The Kitikmeot Region consists of parts of Victoria Island, the adjacent part of the mainland as far as the Boothia Peninsula, King William Island, and the southern portion of Prince of Wales Island. Its regional seat is Iqaluktuuttiaq (Cambridge Bay), though it also contains five other hamlets. Recently, the Kitikmeot Region has been in the news since the finding of the lost ships of the Franklin Expedition in its waters. It is Nunavut’s least-populated region, though wildlife abounds here both in the sea and on land. Located at the mouth of the Coppermine River, Kugluktuk is the westernmost community in Nunavut. Known for many years as Coppermine, the community reverted to its original Inuinnaqtun name—meaning “place of moving waters”—on January 1st, 1996. The Coppermine River is designated a Canadian Heritage River for the important role it played as an exploration and fur trade route. Today we will disembark the Ocean Endeavour and make our way to the airport to meet our charter flights to Calgary.